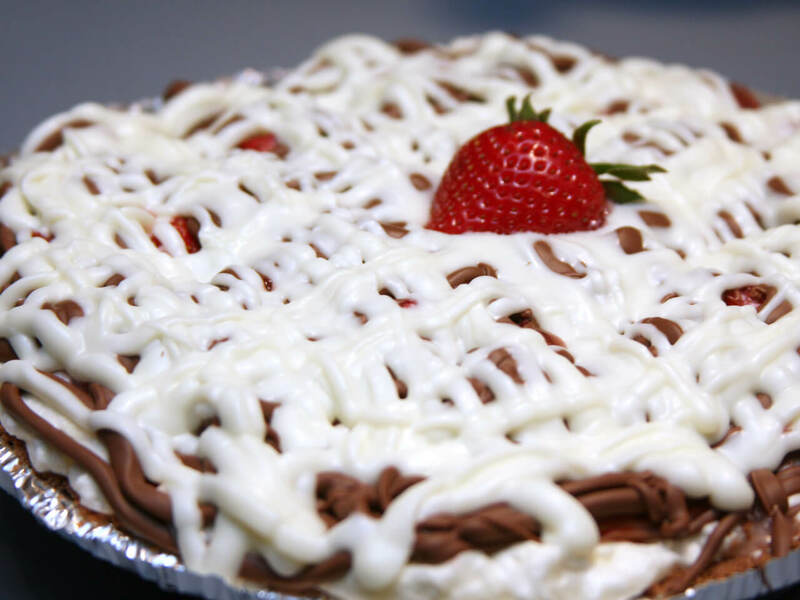 This Chocolate Covered Strawberry Pie is a decadent dessert that is sure to impress! A few weeks ago, Mrs. 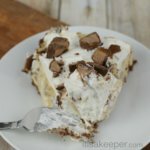 Happy Homemaker linked up this delightful recipe – it’s just like Chocolate Covered Strawberries only in pie form. The minute I saw it, I had to give it a try. I literally dropped everything, threw my son in the car (well not really threw, but quickly ushered him) and headed to the grocery store to pick up the ingredients I didn’t already have. Once I got home I was able to whip this pie up in no time flat! And, it’s a good thing. Because I had a peanut gallery that was drooling over my shoulder! Holy cow! This was just like eating chocolate covered strawberries! The chocolately coating on top…the sweet bursts of the berries…the cool soft filling and the crunch from the crust. Pure, unadulterated yumminess! I love that this pie uses fresh strawberries. 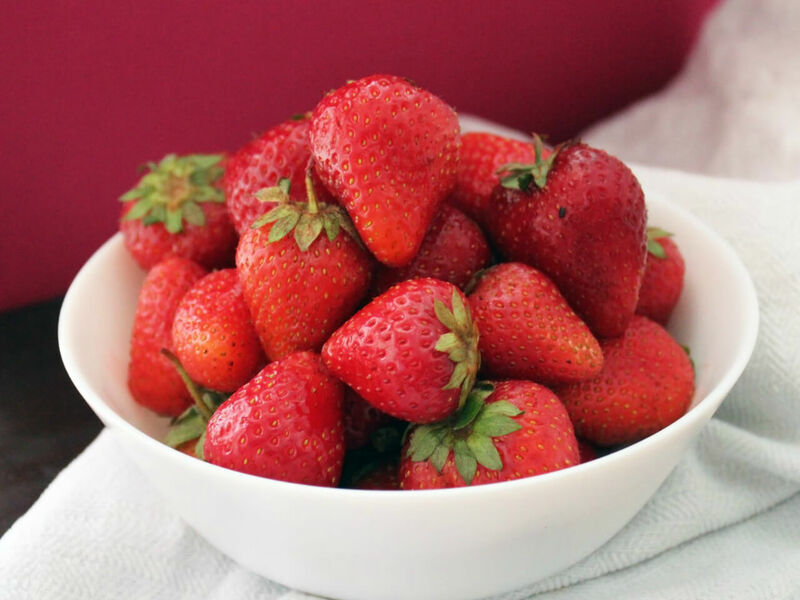 There is nothing like getting the freshest strawberries right from the strawberry farm. The flavor seems to be intensified when you pick them right from the vine. As soon as I get home, I like to wash and prep my berries for use. For the recipe, I simply had to slice them up.
. The supermarket I went to (not my usual one) didn’t have the Oreo crust. They only had a chocolate cookie crust. Not the same. Splurge on the Oreo. Trust me. 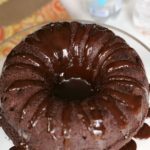 Secondly, and I know that that this just sounds wrong, but I would cut back on the amount of chocolate that is drizzled on top. I think the recipe calls for too much *GASP* chocolate. I can’t believe those words even came out of my mouth. But, it’s true. I think the amount of chocolate on top made it very difficult to slice. It was like a suit of chocolate armor on top. Which brings me to my next point. No matter how hard I tried to neatly slice this pie (so that I would have a photo to share with ya’ll), it was impossible. to drizzle the chocolate. I highly recommend using this method. I also recommend only snipping off a very small bit of the corner — so that you get a really fine drizzle. The thicker the chocolate, the harder it will be to slice. 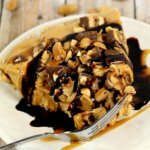 Bottom line, if you’re making this pie for guests and want to have a beautiful presentation…it’s probably not going to happen. Don’t get your hopes up. However, as soon as your guests (or you) taste this pie, you won’t care what it looks like. 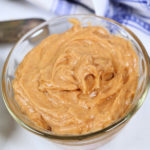 You’ll only care about getting the next bite into your mouth as quickly as possible! One last thing…because this pie is chocked full of fresh strawberries, it will start to get watery if it sits for more than a day or so (like it will last that long). I think I’ll have to make another one of these VERY soon! Like, tomorrow! Looking for more? 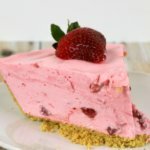 Check out all of the strawberry recipes on It Is a Keeper. Melt 3/4 cup of of the white chocolate chips in the microwave for about 15 seconds, being careful not to burn. Set aside. Beat the heavy cream, vanilla extract, & 1/2 cup of the confectioners sugar with an electric mixer in a bowl until it becomes thick. 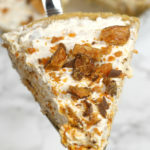 In a separate bowl, beat together the softened cream cheese, the other half cup of confectioners sugar, & the cup of melted white chocolate; Gently fold the whipped cream into the cream cheese mixture. 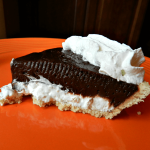 Spread the cream into the chocolate pie crust. 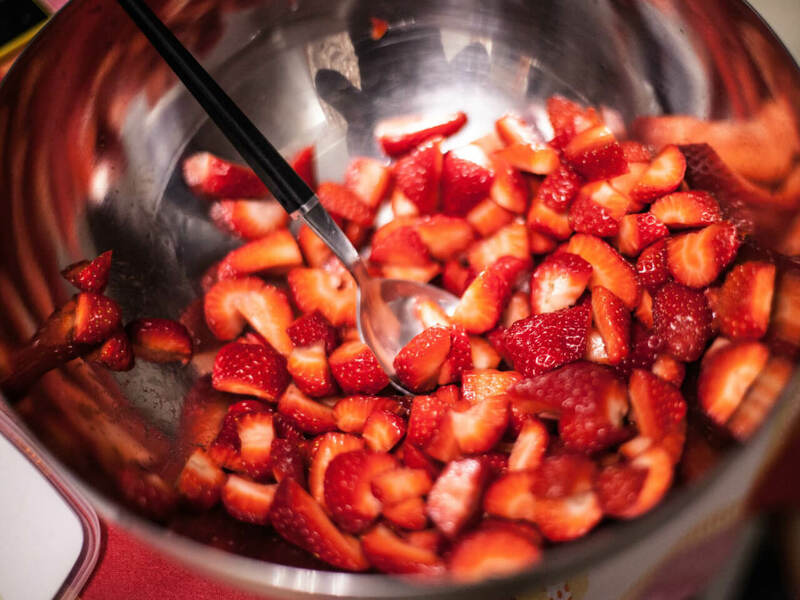 Then, press the sliced berries into the mixture ALL over it. Find every single available nook & cranny, and shove a berry in it! Melt the remaining white chocolate in one bowl & melt the milk chocolate in another. Drizzle the melted milk chocolate on first...then the white chocolate. I made it, she’s in the fridge! Looks soooooo good! That looks fantastic! Will be trying this soon! Love your blog!! I am your new follower 🙂 I would love it if you followed me to @ for.the.luv.of.blogspot.com that would be great 🙂 I am just starting out, but I am excited to share new recipes, crafts, and makeup..
Is there anything better than strawberries and chocolate? Absolutely not! Looks great! This recipe looks great! I love chocolate! I found your site at Hearth and Soul Hop (50)! 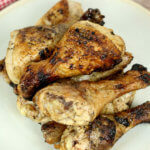 We’d love for you to come link up at THIS WEEK’S CRAVINGS “Summer BBQ Dishes”. 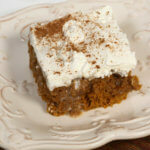 Please come on over and share this wonderful recipe! Wow this looks amazing! I just pinned it – hopefully I can try it soon. I looks so good! 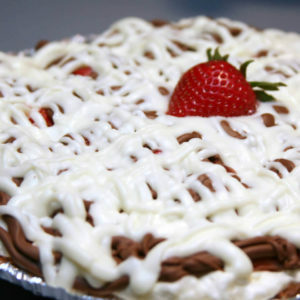 Great Strawberry Pie, it looks delicious! Thanks for sharing and have a fun day! Wow….that is wrong on so many levels…lol…that looks so good. You’ve sold me so I’ll give this a try next week. Sounds great. I’m now coming to visit to use you to plan my meals LOL. Sounds delicious! 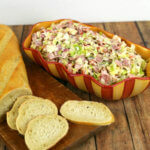 Might be perfect for that Memorial Day cookout! This sounds yum, and I don’t normally go for strawberry based things, might have to give this a try though! Thanks for sharing. omg, you just made my mouth water- i am almost drooling! whyyyyy do i have to be on a diet!? 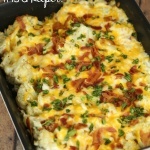 i will definitely save this recipe… because it looks so incredibly delicious!